Did you know tangerineʼs have strong qualities of cheer and joyfulness? People who at times feel overwhelmed by responsibility would benefit from the the uplifting vibration that comes from tangerineʼs. Another important aspect of tangerine is itʼs ability to help us access our creative energy within our spirit. The name tangerine comes from Tangier, a port of Morocco, where the first ship with Mandarin oranges arrived from China? This citrus fruit is believed to have originated in Southeastern Asia and since then it has been widely cultivated in different parts of the world. 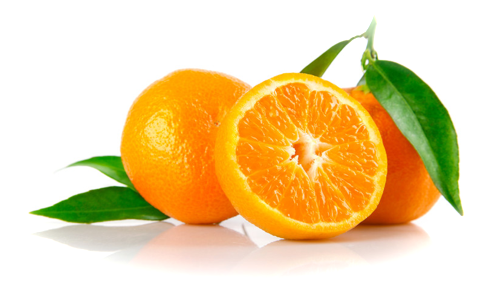 A tangerine orange is smaller than a regular orange, and contains a strong pleasant fragrance. The fruit is quite fragile but the sections are easy to separate. A medium tangerine provides about 37 calories of food value, the fruit is not only delicious, it is an important addition to any diet. Tangerine essential oil is great to use when cooking. Tangerine oil contains esters and aldehydes which are sedating and calming to the nervous system and has been studied for its ability to sooth emotions such as grief anger and shock. Like most citrus oils, avoid direct sunlight or UV light for up to 12 hours after using on the skin.